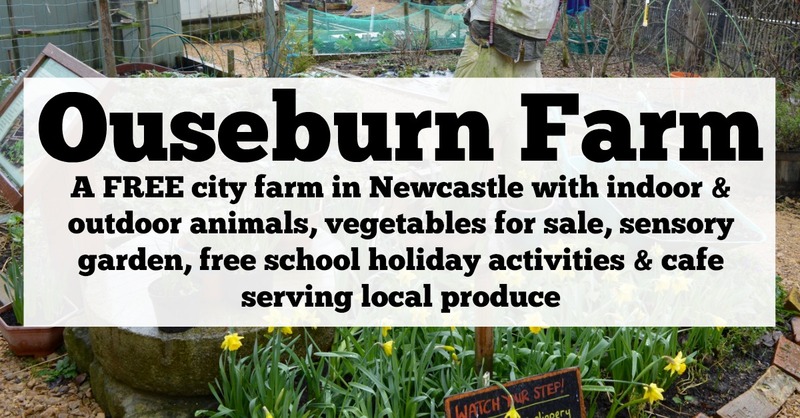 Ouseburn Farm is a FREE community farm and registered charity based 1 mile from Newcastle's city centre. 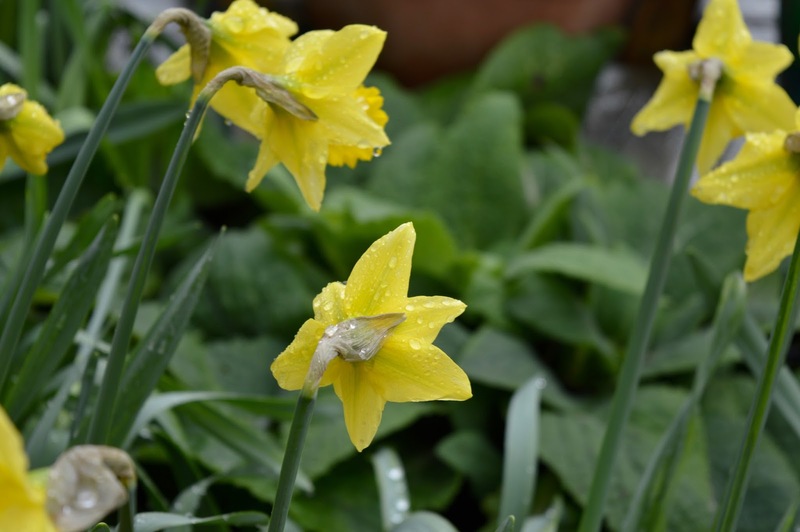 There is free car parking in Foundry Lane Car Park (NE6 1LH) or it's a lovely walk along the Quayside from Newcastle city centre. 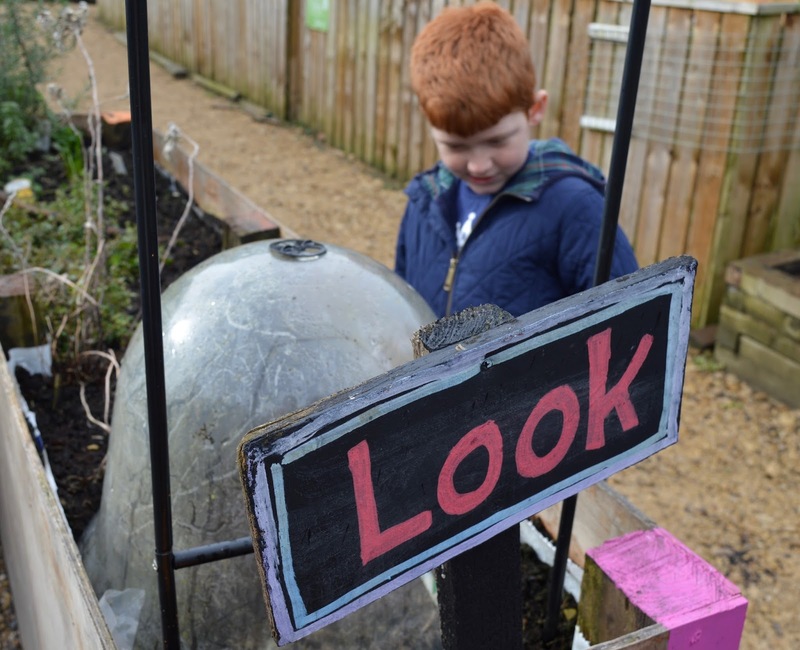 For details of other car parks, public transport and detailed directions, scroll to the bottom of the Ouseburn website here. 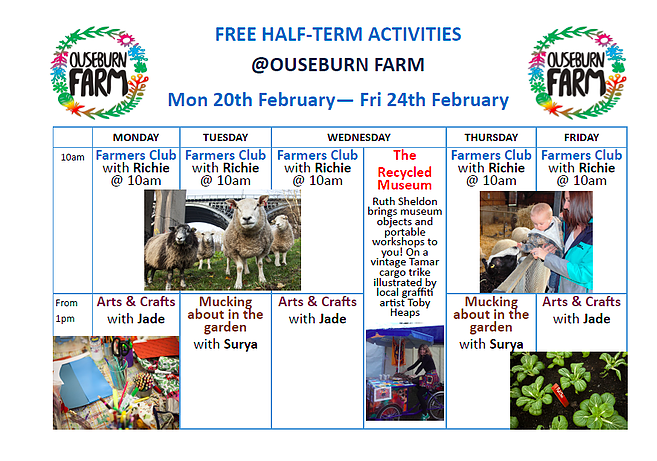 Ouseburn Farm is generally open 9:30am - 4:30pm weekdays and 10:30 - 4:30pm on weekends, check the Ouseburn Farm website for up to date info. 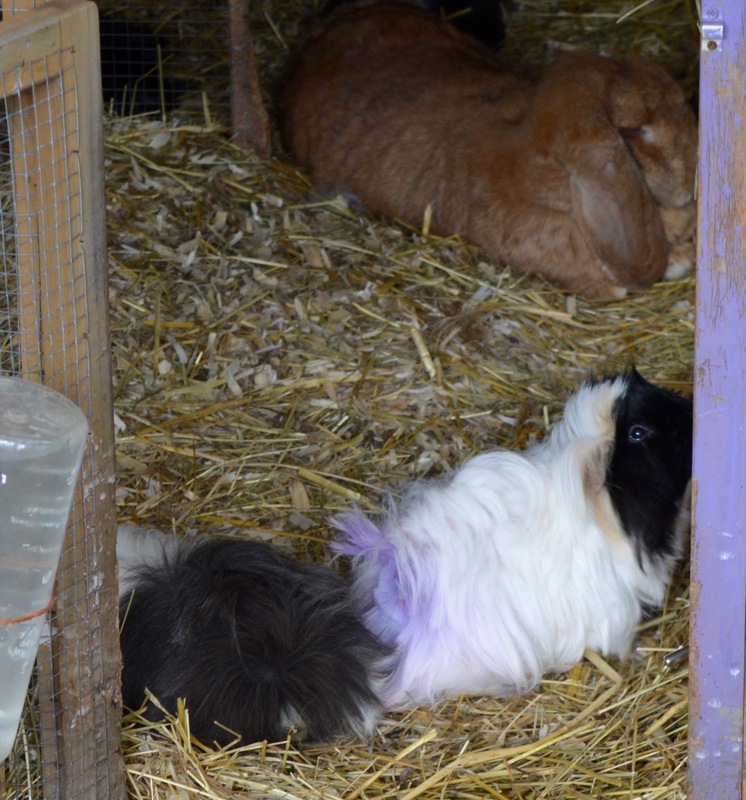 The farm is small but perfectly formed. Entry is completely free but donations are welcome (remember this is a charity). You'll find the entrance just opposite the Cluny pub. 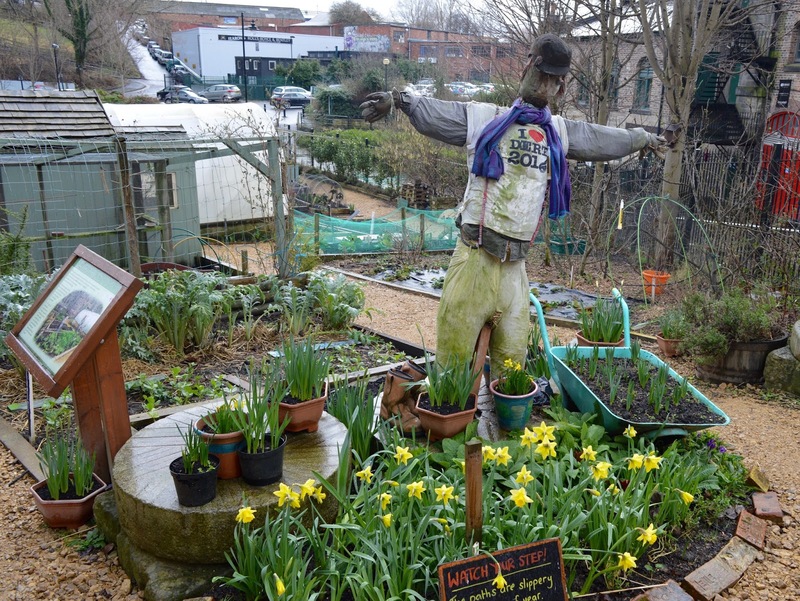 I always love how you are greeted by this scarecrow and every time we visit he is different - in October he's usually surrounded by pumpkins and I love that in Spring his is standing in a bed of Daffodils. He always puts a smile on my face. 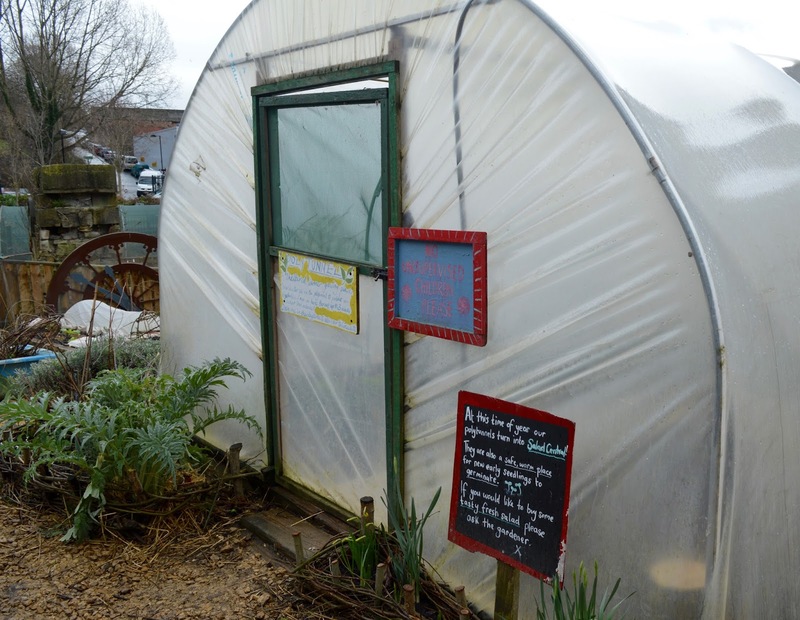 There are three main parts to the farm I would say - an outdoor garden/allotment area, a farmyard containing animals and a building featuring indoor animals, a cafe and various other community spaces. 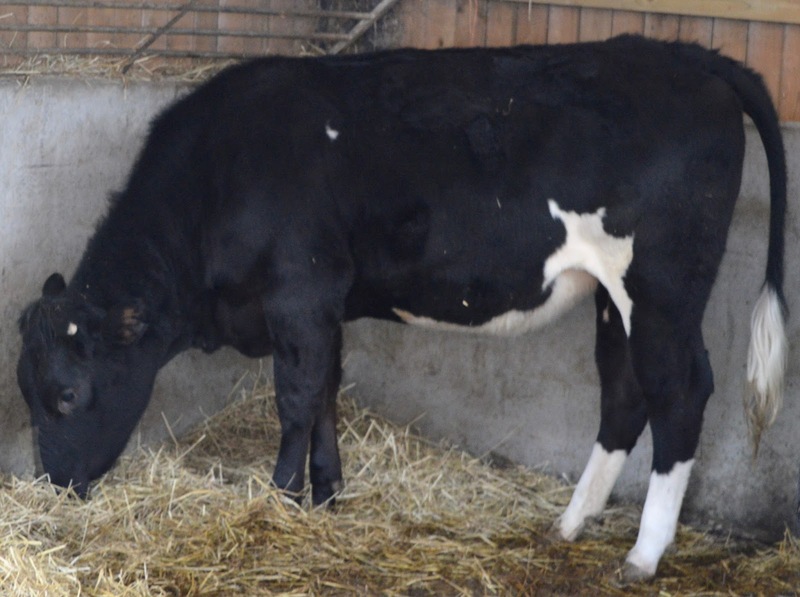 You can never guarantee which animals are going to be in the farm yard but I think that's all part of the charm. 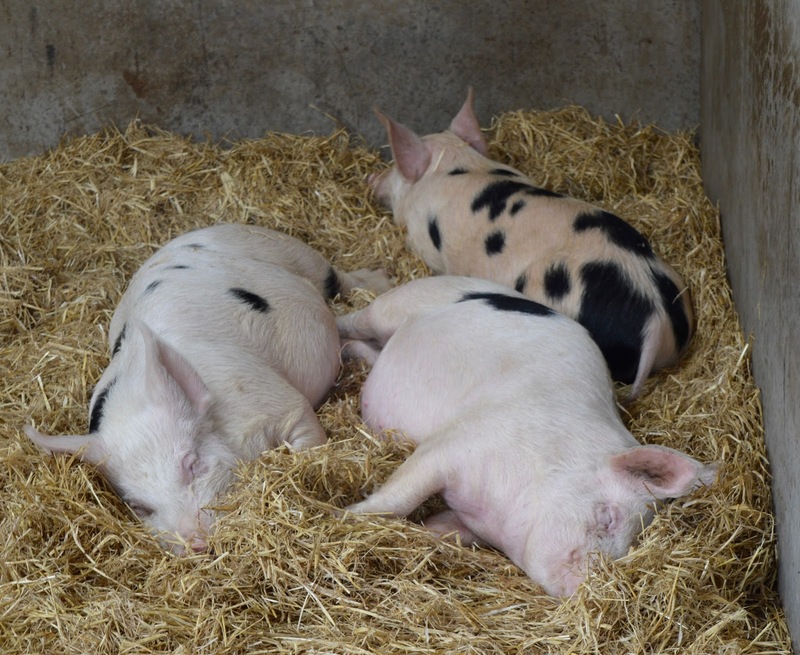 During our latest visit in February we found lots of happy pigs, sheep, cows, goats and guinea pigs. You'll often find chickens wandering around too. 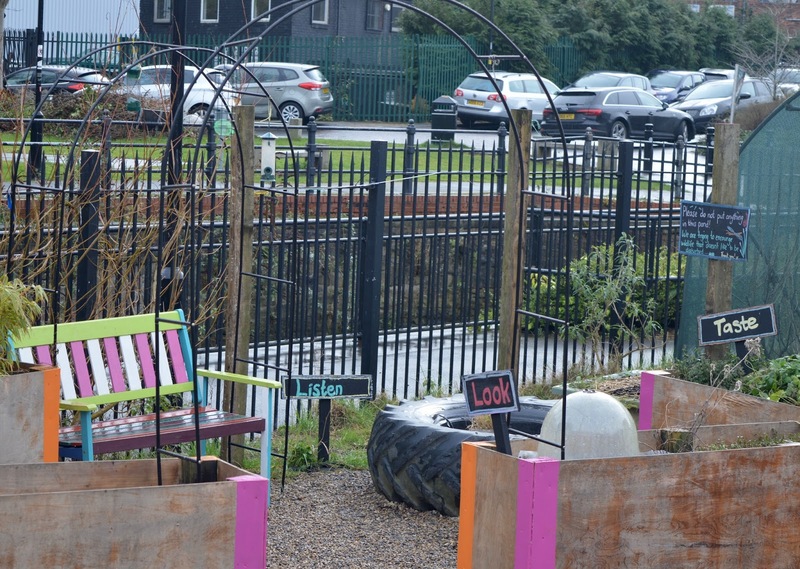 There is a fantastic community cafe and shop based on the farm where you can buy various plants and stop for a bite to eat. The cafe serves children's meals for £3, various cakes (£1-£2) and paninis plus homemade soup with big wedges of bread for £3.50. Their cakes are all baked on site and highly recommended. 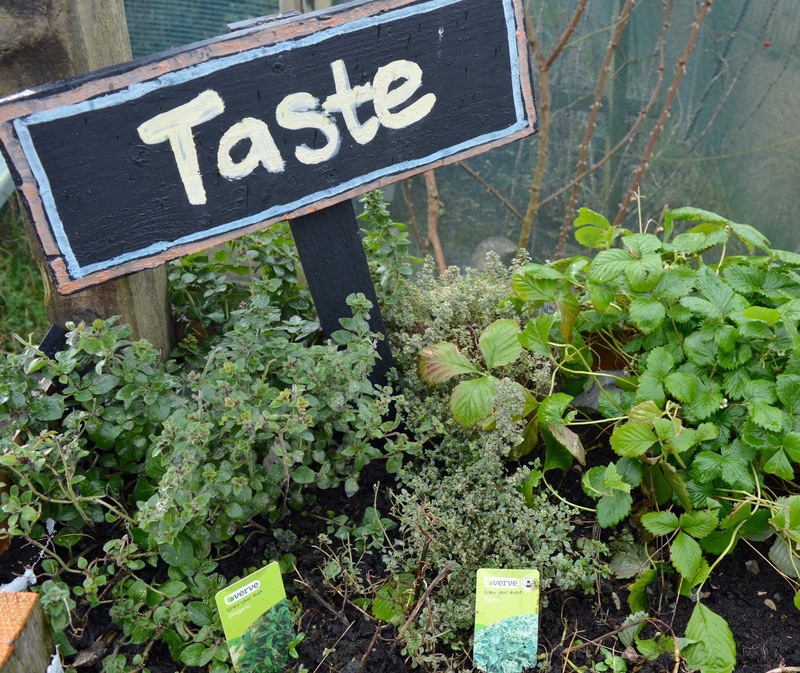 You can even try fresh mint tea that has been created using mint from the farm. 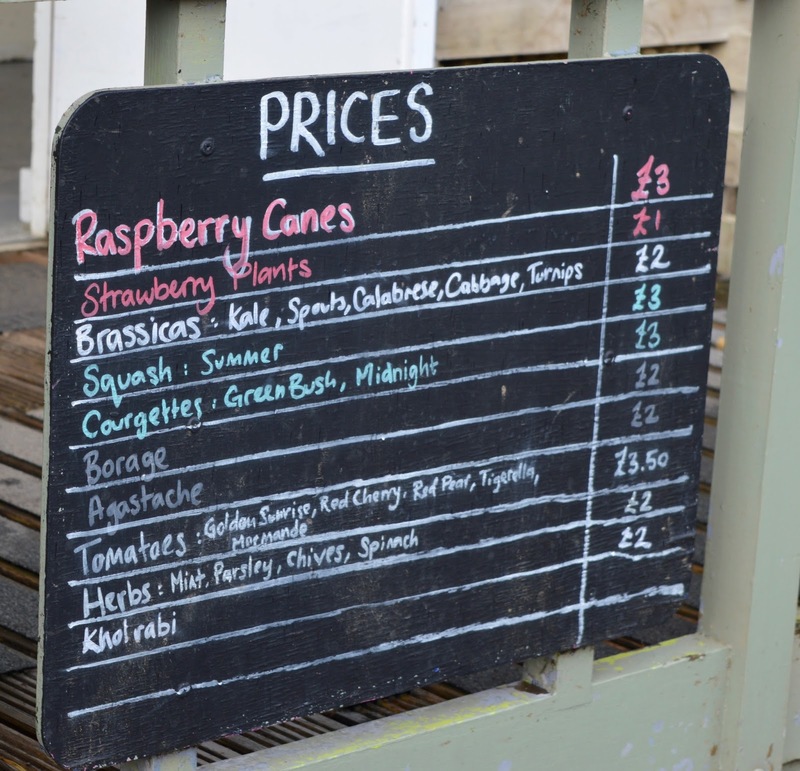 We didn't stop for anything to eat this time but you can check out a sample menu here. 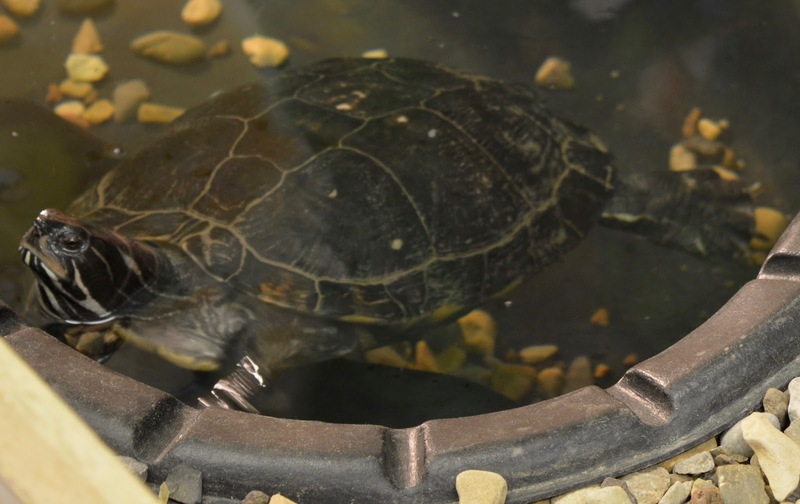 There are more (smaller) animals to discover inside the farm centre. 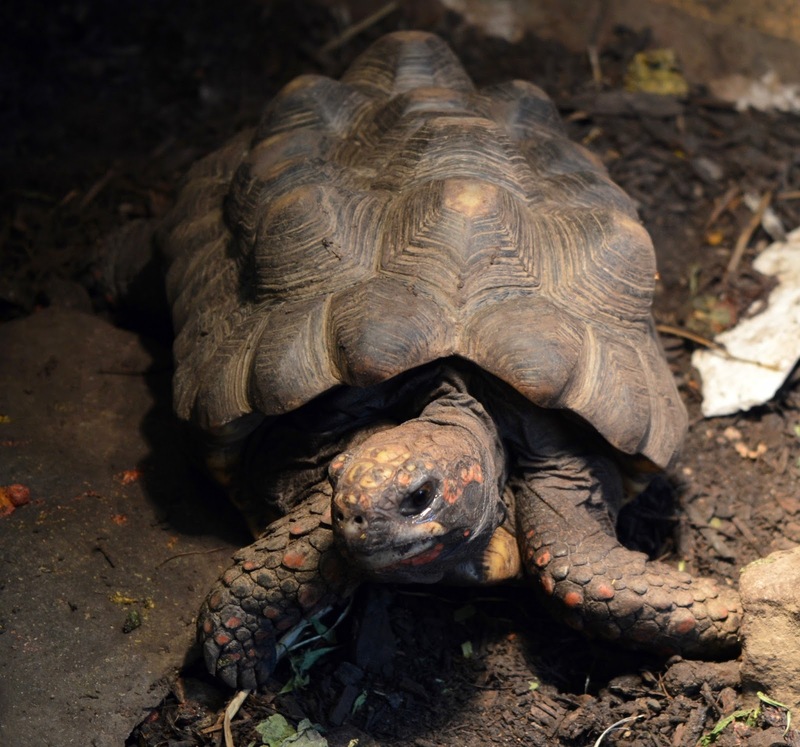 I must admit, I have a real soft spot for the turtles and tortoises! Too cute! 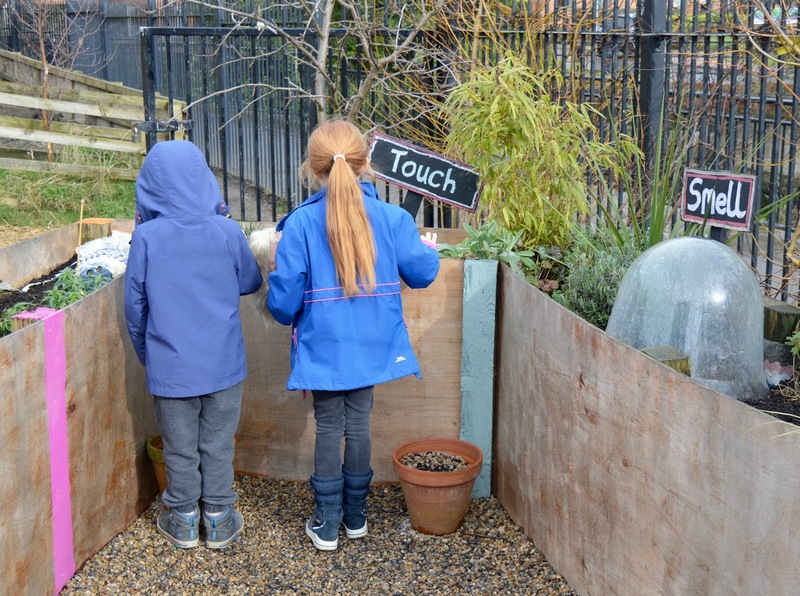 The outdoor area of Ouseburn Farm always inspires us to make more use of our own outdoor space at home. 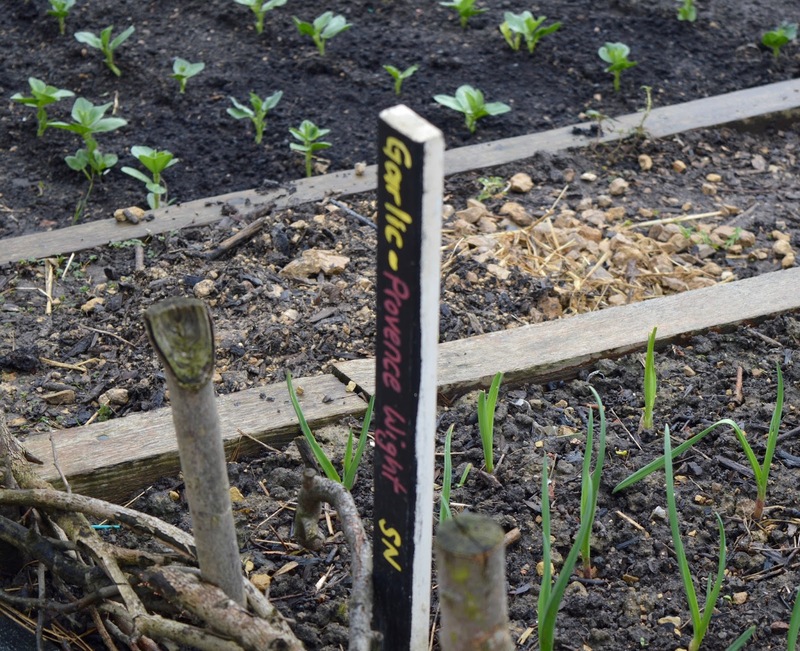 There are various plants and vegetables growing and we stumbled upon a fantastic little sensory garden too (now I want to build one!). 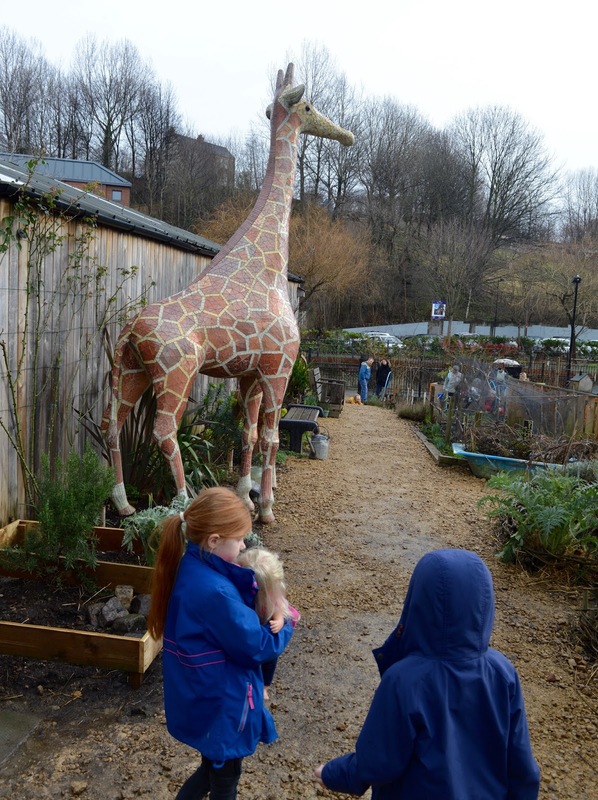 We normally spend around 20 - 30 minutes wandering around Ouseburn farm, longer if we stop for lunch. 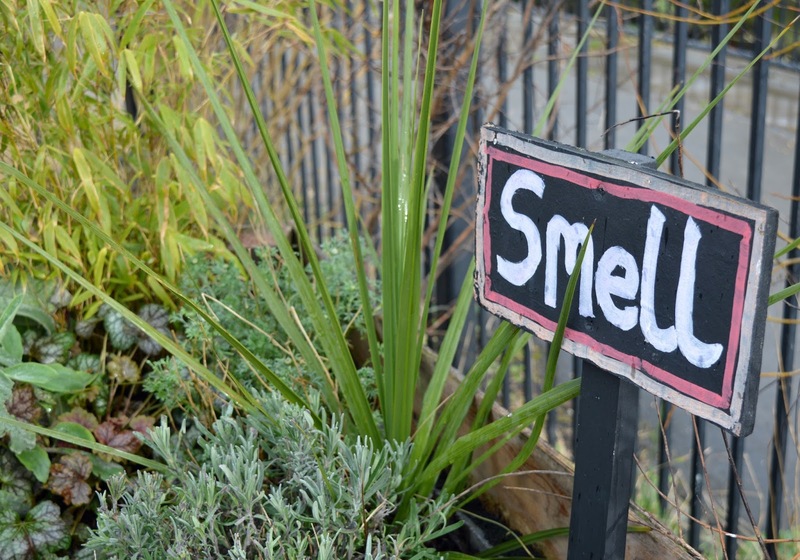 If you combine it with other attractions in the Ouseburn area, it's a nice little add on to make more of your day. 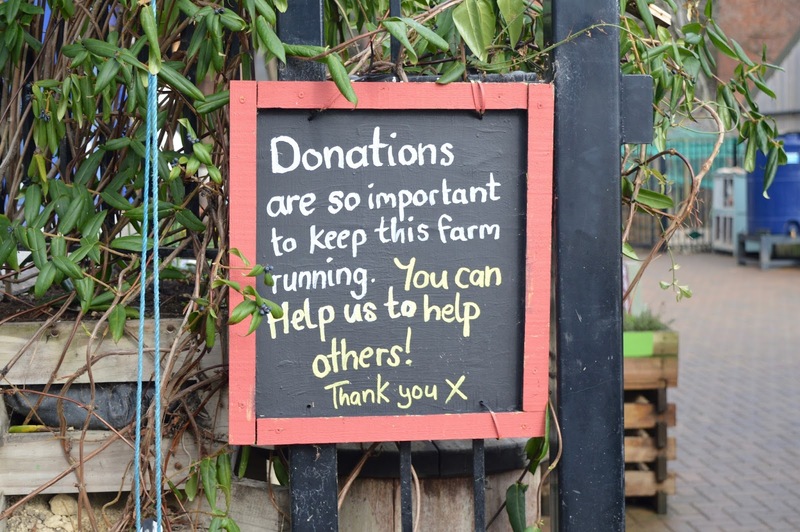 I will be honest when I say that we never set out *just* to visit the farm - our favourite city farm is still Jesmond Dene (as it has a play park too) but if you're nearby I would definitely pop in and show your support. 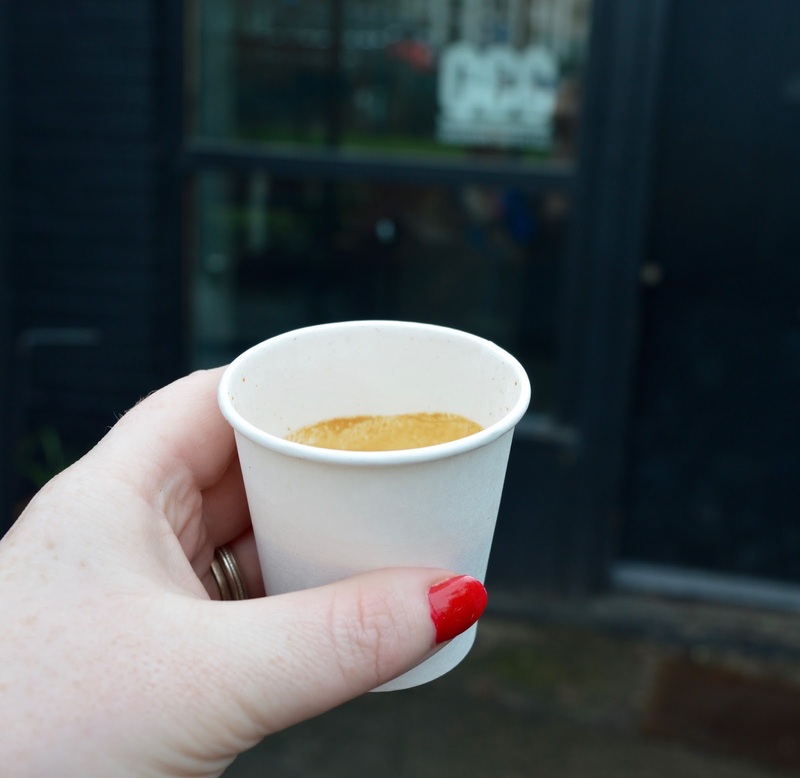 A trip to Ouseburn always includes a little trip to Ouseburn Coffee (just across from Ouseburn Farm) where you can pick up bags of coffee or order coffee to take out - I swear the Espressos from here are the strongest I have tasted! Definitely worth £1.50 before heading home. 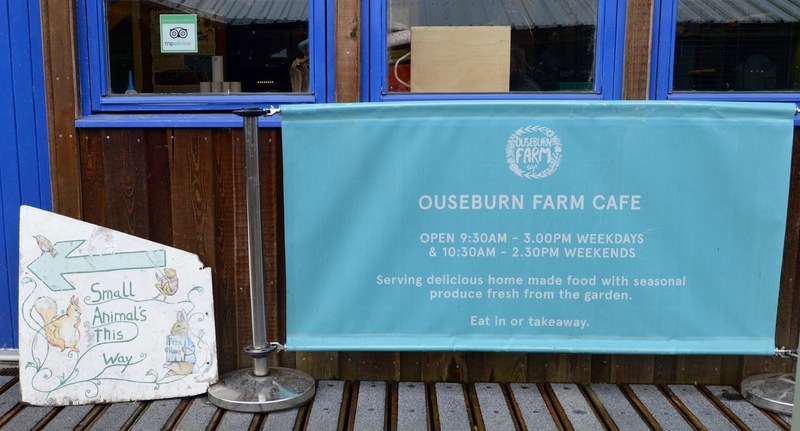 Let me know if you've visited Ouseburn Farm before. ~Such a fab place with a great story! It has bounced back so many times from closure (think it did even close for a time) A lot of students go down there and work on the farm as part of their volunteering. so canny! I'm not an animal person but they have fun!